When I moved to Gurgaon from Delhi a decade and a half back this was a completely different city. Sunflower fields occupied the spaces that are now malls and it would take me anywhere from 20-30 minutes to reach South Delhi at any time of the day. I still had to travel to Delhi for the household daily needs and everyone from my “past life” would question the move. It was during this time that Sweets Corner proved to be a savior, of sorts. Sweets Corner was an early entrant in Gurgaon and as a result very successful. There would be people waiting outside to get in and an equal number of families inside staring at those already eating in the hope to make them uncomfortable enough to finish early. The limited seating on the ground floor was only for fast food like chaat and samosas whereas upstairs was where you could have a full blown Indian meal. Sweets Corner was hot and happening and that’s by no means an understatement. Since “change is the only constant”, Gurgaon to eventually transformed. It now takes an hour to get to South Delhi, on a good day, and the amount of people enjoying the air-conditioning in malls is an indication of the increasing population of the city. The very people who questioned my move back then are not living in Gurgaon themselves. The increase in population and infrastructure, and I won’t get political here, has resulted in a ten-fold increase of the food scene in the city, especially in the last decade. You’ll find everything and anything you want within a few kilometers of wherever you are in Gurgaon. Amidst the hustle and bustle of this “developing” city if there is one thing that has stayed in the past, it’s Sweets Corner. The place hasn’t changed except for maybe the sad realization that there no longer are lines of people waiting to get inside anymore. 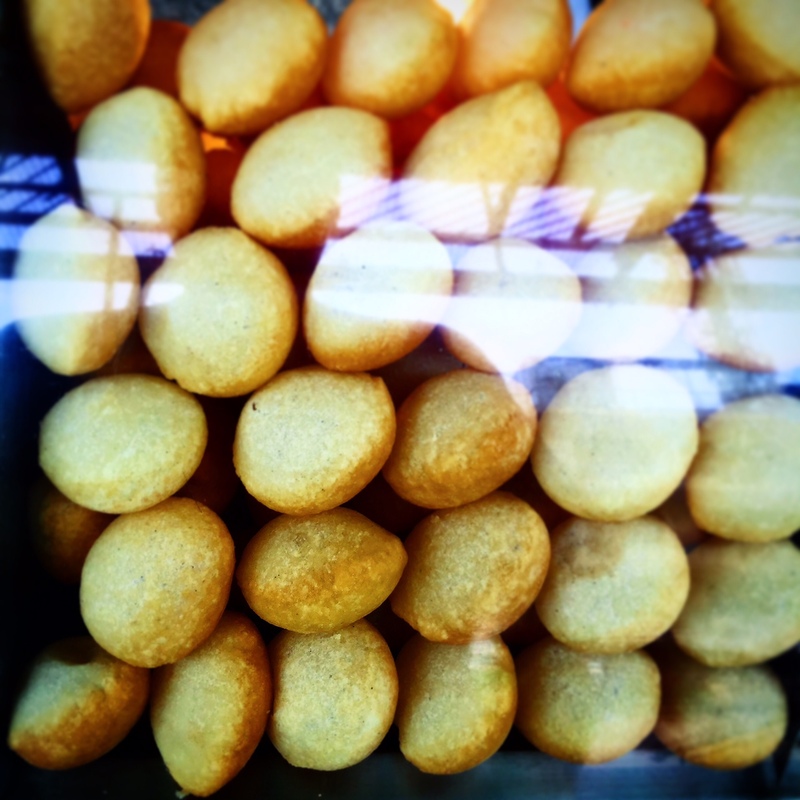 Sweets Corner has become one of those neighborhood halwaiwalas that you visit to get paneer, Samosas, or barfi when you have unexpected guests at home or like me occasionally have a chaat or two when in the market where it is situated. I haven’t been inside the restaurant for close to a decade now (their chaat section is outside) and can’t even think about walking up to sit in their food section on the first floor. It’s not a question of good or bad food anymore. Sweets Corner is just stuck in history. It doesn’t have the same appeal it once did and nor does it have the legendary status some similar places do in Delhi (Kaleva for example) that would make you and I travel miles to eat here. Moreover, options like Bikanerwala and Haldiram’s have similar food available at similar prices in fancier locations and with better interiors. But, the fact that Sweets Corner still stands after two decades of operations, even though many-a-new restaurants in the same complex have opened and shut down, is proof that there is a certain charm it holds over people. 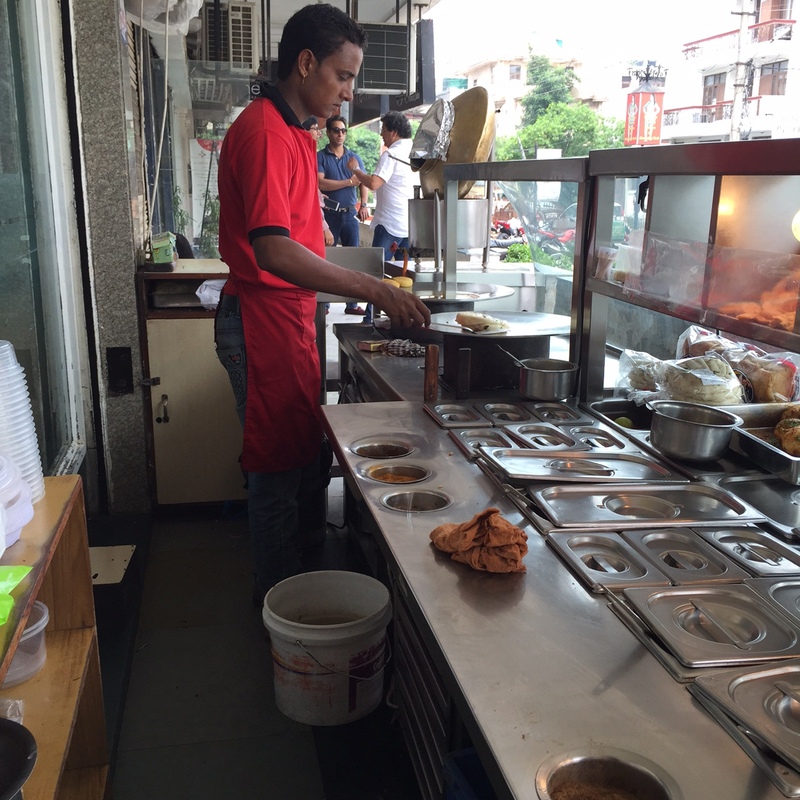 It’s also a case of familiarity and while I might have moved my business to Bikanerwala (it’s also closer to me), others, especially those in the neighborhood, might be used to and liking what Sweets Corner offers. 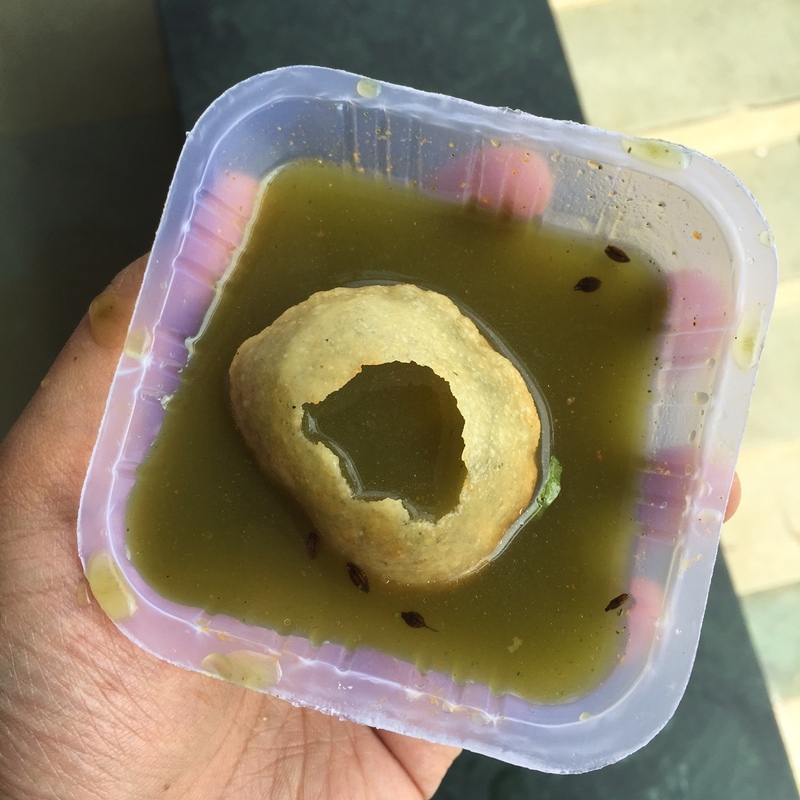 Their chaat, the one thing I still have, is good and while nothing exceptional is quite satisfactory. Gol Gappas, Aaloo Chaat, or Cholle Bahutras, all prepared in front of you and are done so professionally in a clean manner. When I think about the food served here, I can’t find any major fault in it, but it doesn’t make me salivate or give cravings like some of the other places do. I do have to point out that some might find the presence of flies (not mosquitoes) unhygienic, and it is, but this is something that is quite common in such establishments. Their main door is almost always open and sometimes they have food set-up outside, so the probability of flies being around is quite high. One has to use a hand as a bat to shoo-away the flies while eating and that is just the way how things are. Sweets Corner, because of changing times primarily, has become a place to be taken for granted. You and I might not go there on purpose but have no qualms about stopping and having a bite if we are in the vicinity. All is not lost though and with a little injection of cash into the interiors, because the food has pretty much remained consistent, Sweets Corner can still give the many newer restaurants surrounding it a run for their money. But, the place for now seems comfortable being in its present state, serving mithai ,namkeen, and chaat to locals, so whether it will ever see the same glory days as it once did so many years back is anyone’s guess. Hopefully it sees its good old days again. Its great post very useful this information..Thanks for sharing this post..